Military lawyer Larry Burch has worked with thousands of clients, handling cases of divorces, child custody, and protective orders hearings. Call 301-474-4468. Divorce is usually among the worst times in our client’s lives. Most people are hurt, angry or confused and worried that they can’t afford the legal representation their case deserves. We have been with our clients through thousands of divorces, child custody and support cases as well as protective orders hearings. We are experienced in handling cases where there are military issues (including security clearances) involved. The lawyers at The Burch Law Firm, LLC, understand the legal process (and the relevant military regulations when there is a military service member involved) and how to obtain our client’s goals without wasting our client’s money. At The Burch Law Firm we first try to settle cases wherever possible or reduce the contested issues to avoid unnecessary litigation which helps keep our client’s costs low. You decide whether to settle your case or any contested issue within the case. When the parties can’t agree to settle the case, then we are well-prepared to represent our clients in court. Our clients routinely praise our preparation, knowledge of the issues and the evidence as well as our zealous advocacy in court. At The Burch Law Firm, LLC, our lawyers handle all matters related to divorce cases; particularly cases involving military and federal service members, in Washington, D.C., Montgomery County, Prince George’s County, Anne Arundel County as well as in southern Maryland (including NAS Patuxent River) and throughout the Washington, D.C. and suburban Maryland areas. Our main office is in Greenbelt (Prince George’s County) and we have a satellite office in Bethesda (Montgomery County). We offer a free initial consultation by telephone only. No issue is more important or more difficult and requires more legal experience than deciding custody of a child or children. Deciding where a child will live and who will make educational and health care decisions for the child plays a critical role in the child’s future. The child custody decision also impacts child support, the use and possession of the family home (and the household furnishings) as well as alimony. At the Burch Law Firm, we have attorneys with experience handling complex child custody cases. Because the issue is so important, determining child custody requires an experienced attorney who understands the issues and evidence necessary to win these cases. The Burch Law Firm’s two attorneys understand the issues involved, they know how to navigate the legal process (including when it is best to involve a custody evaluator, psychologist or best interest attorney). Often evidence generated by a custody or psychological evaluation proves compelling and saves the parties the costs of litigation. Where there is a military service member involved, child custody cases can be more difficult. 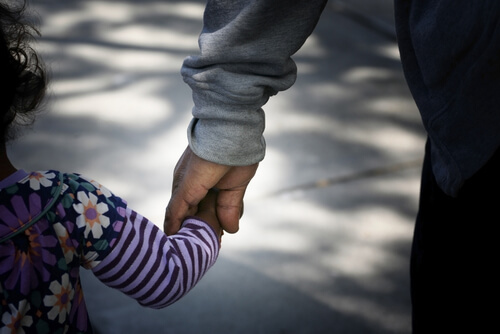 In these cases, custody of the child also impacts the service member’s entitlement to military housing or housing allowance at the with dependents rate, health and dental insurance benefits for the child and non-military spouse and other important issues. The lawyers at The Burch Law Firm have experience in dealing with military issues and know the relevant law and military regulations involved. Even if you are not trying to get primary custody of your child, you have a fundamental right to participate in your child’s upbringing. If you have not abused your child, it is usually in your child’s best interests that you and your child develop a strong relationship. Courts favor regular access between a parent and child because it is usually in the best interests of the child. At The Burch Law Firm, we often represent parents who are being denied access to their children. We believe it is important that the rights of non-custodial parents be represented because it is important for the child’s healthy growth and development. If a parent is late or behind on child support payments, it does not mean that parent is denied access to his or her child. At The Burch Law Firm, LLC, our lawyers handle all matters related to child custody (and access); particularly cases involving military service members, in Washington, D.C., Montgomery County, Prince George’s County, Anne Arundel County as well as in southern Maryland (including NAS Patuxent River) and throughout the Washington, D.C. and suburban Maryland areas. 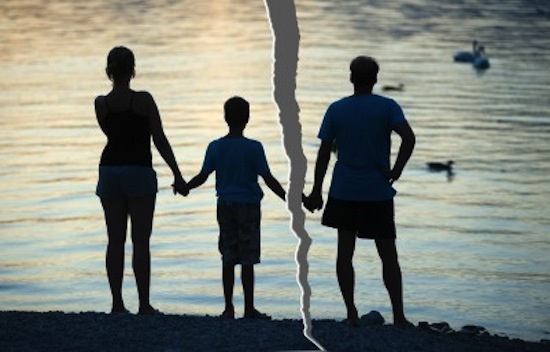 At The Burch Law Firm, we handle difficult or complex child support cases. Each parent’s income is a big part of determining the amount of child support required in Maryland and the District of Columbia. Often a parent will hide income (particularly when the parent is self-employed or works side work) to avoid paying child support required by the law. At The Burch Law Firm we are experienced in finding income that the other parent is trying to hide so that your children receive all the child support they are entitled to. If you are being sued for child support, the lawyers at The Burch Law Firm help you present all evidence necessary to reduce your child support payment. When children need special therapy, orthodontal or other health care not fully covered by insurance, or private school tuition, we help parents present their side of these special issues to the courts in Maryland and Washington, D.C.
Also, we have experience getting dependent support ordered through the military service member’s command. Each military service has a different set of dependent support requirements. The lawyers at The Burch Law Firm understand the military dependent support regulations and how to get support for our clients by contacting the service member’s command. Conversely, since we know about each military service’s dependent support requirements and what a command can and cannot do in requiring dependent support, we often help military service members defend themselves against non-support claims made to the service member’s command. We help protect your military career from these charges by helping service members stay in compliance with the military dependent support guidelines. Divorce is a division of the marital partnership. The assets that each party acquired during the marriage (with a few exceptions) are considered marital property. The court will determine the value of all marital property on the date of divorce and make an “equitable (or fair) distribution” between the parties. If the parties can divide their property by agreement, then you can avoid the substantial stress and expense of contested litigation. The lawyers at The Burch Law Firm are experienced in negotiating Marital Separation Agreements in Maryland and D.C. particularly in cases involving military pensions and Veteran’s benefits. What Is a marital separation agreement? A Marital Separation Agreement is a binding contract between the parties dividing their marital assets, and often resolving issues like alimony, child custody and support and tax and insurance issues. The lawyers at The Burch Law firm understand how the courts in Maryland and the District of Columbia normally decide such cases so that we are able to negotiate a fair agreement for our clients. If the opposition refuses to be reasonable and the case must go to court, then we are always well prepared for trial and present all the evidence necessary to protect our client’s interests. Finding marital property that the other party does not want to disclose is the first job of a divorce attorney. Then, presenting evidence showing a fair distribution of that property is next. Finally, we help you navigate the post-divorce process to claim your share of the marital assets; including any interest in a military pension or retirement savings account or real property. At The Burch Law Firm, LLC, our lawyers handle all matters related to negotiating Marital Separation Agreements and when the parties cannot agree, we are experienced in trying these cases; particularly cases involving military and federal service issues, in Washington, D.C., Montgomery County, Prince George’s County, Anne Arundel County as well as in southern Maryland (including NAS Patuxent River) and throughout the Washington, D.C. and suburban Maryland areas. Our main office is in Greenbelt (Prince George’s County) and we have a satellite office in Bethesda (Montgomery County). We offer a free initial consultation by telephone only. Attorney Larry N. Burch is the author of a new book titled "Understanding Military Divorce Law" which provides clear and easy to understand legal analysis and practical tips on issues that frequently arise when military families separate.